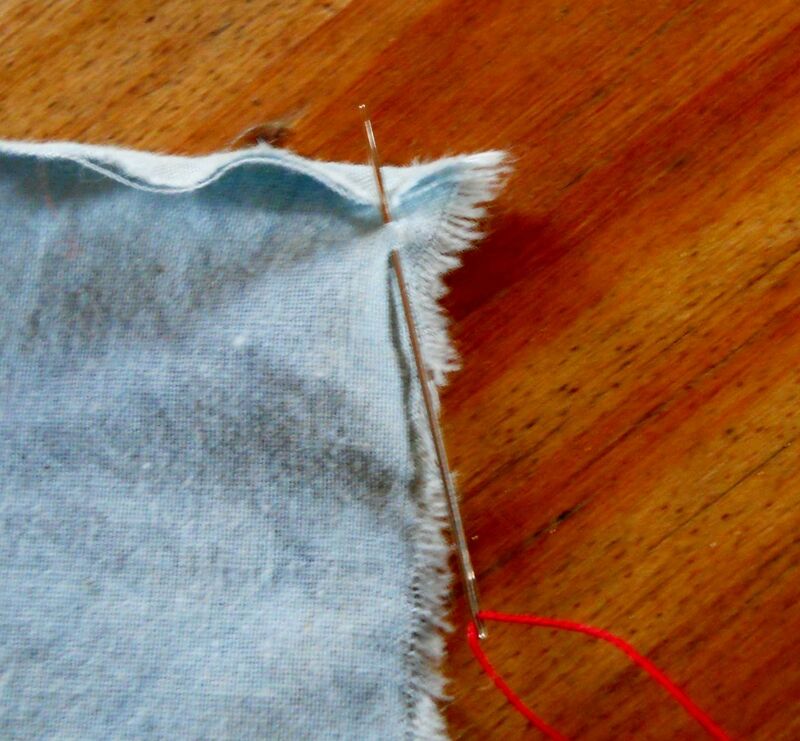 For most people, the same basic steps come to mind when they think about hemming fabric: pull out the iron, fold up the fabric, press, fold again, press again and then throw down a quick row of stitches with the trusty (hopefully!) sewing machine. Historically, there were many different types of hems that were used on different types of fabric and for different purposes. 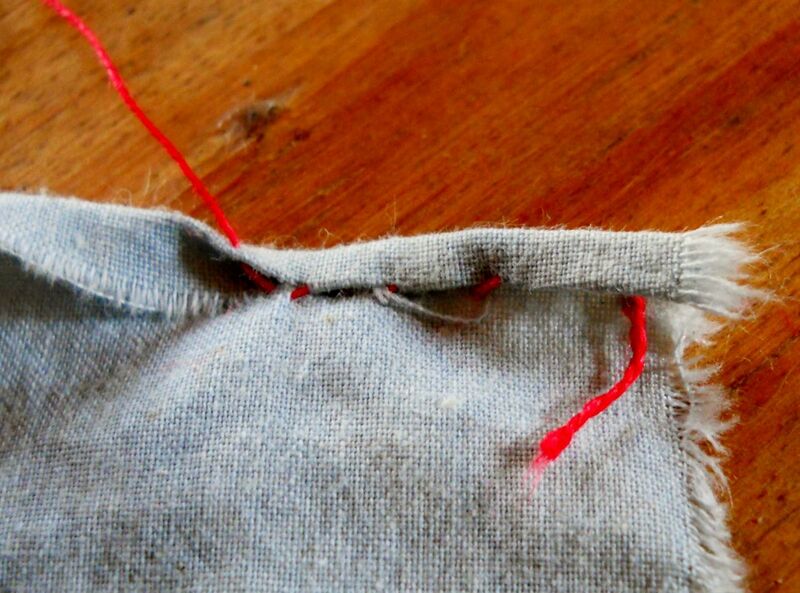 Many people today choose not to use these specialty hems out of convenience, but this page shows you how to create a rolled hem. Rolled hems are quick and easy to make on fine fabrics, such as lightweight cottons, silks and linens. Rolled hems are less than ideal for heavy fabrics. 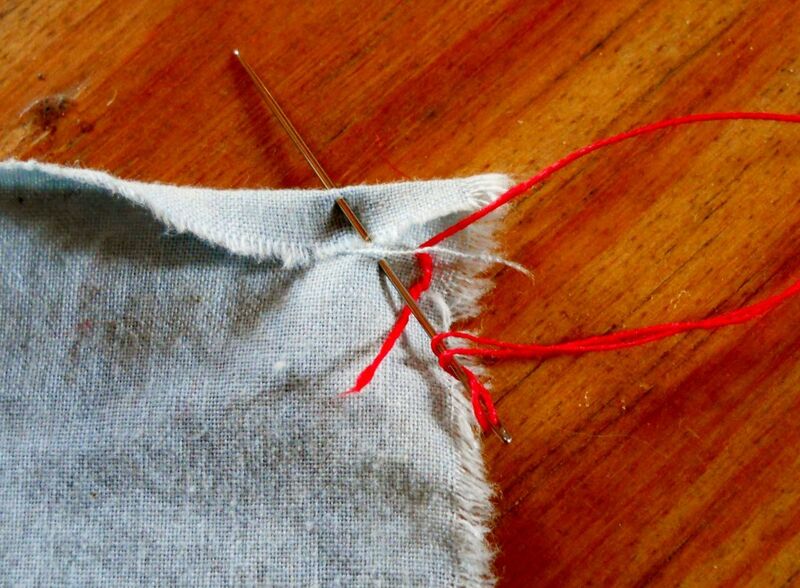 First, have the project you want to hem on hand. As you can see, mine was a simple square that spent a few too many hours in the bottom of my bag before I had the time to pull it out. I have used rolled hems on neckerchiefs, handkerchiefs, cravats, shirt cuffs and aprons. It would be an excellent choice for napkins and lightweight skirts or dresses, too. Next, make a crease in the fabric. It is not necessary to use an iron. If you have a wood or bone crease, that is all you need for most lightweight fabrics. A coin, thimble or other hard object can stand in as a crease, too. I usually just use my thumbnail, as I am in the picture. It is best to make this crease fairly close to the edge, or else the roll can become bulky. I usually fold over less than 1 cm of the fabric. You can crease the entire length of the hem at once, but I usually just hand crease a few inches at a time. Next, you want to secure your thread to the fabric. Do not tie a knot! This is a huge mistake beginning sewers make. Tying a knot is a bad plan, in most cases. 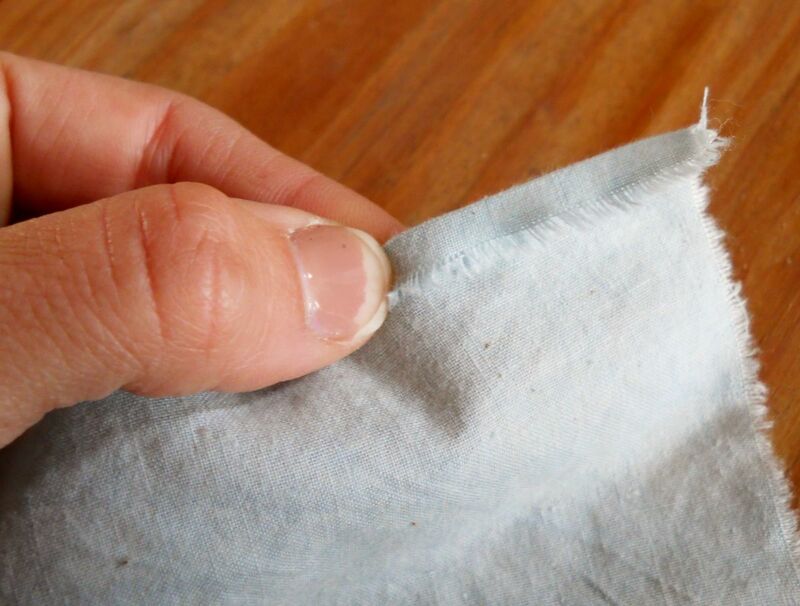 It creates a little nub that stresses and wears holes in the fabric. 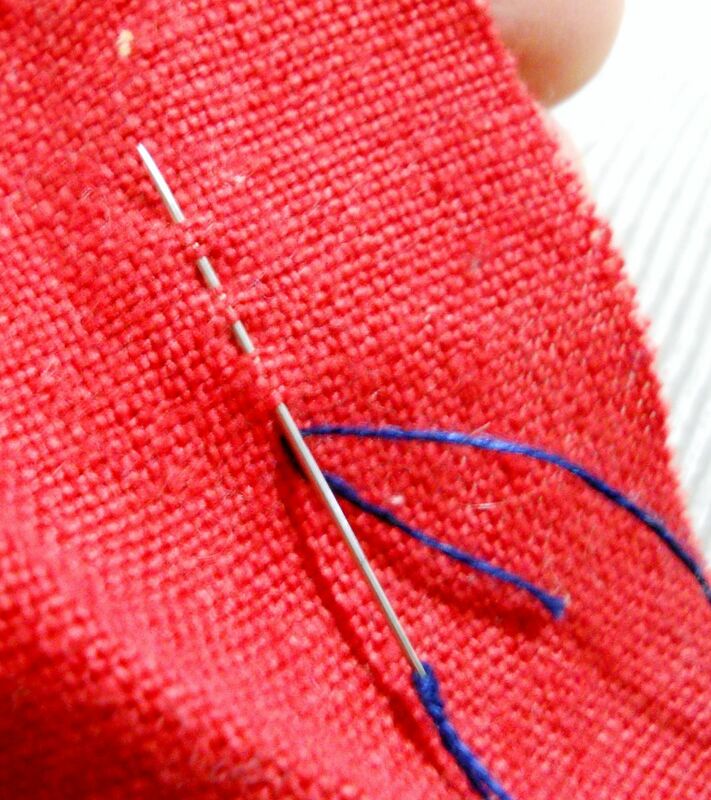 Instead, secure the thread by making a few small stitches on top of each other. Don't be nervous - it will hold. Obviously, you probably want to use thread that matches your fabric. I did the first few stitches in a contrasting thread that is much too big for the project to make them easy to see in the photos. This picture is to show you one of those anchoring stitches. Because I knew I wanted to remove the red thread before finishing the cup cover, I did not anchor it very securing. Another important thing to remember when hand sewing is that the direction the thread comes off the spool matters. Thread has a twist to it, and most modern thread is designed to have the end coming off the spool threaded through the sewing needle, as it is on a machine. If you thread the freshly cut end, you are working against the the thread's twist and are much more likely to experience snags and snarls as you sew. Now you're ready to get hemming! 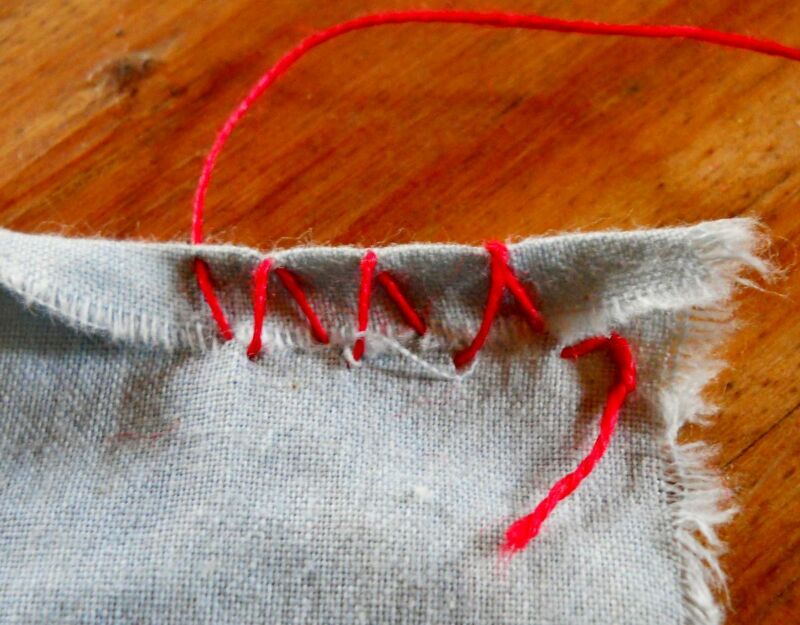 Make a small, slanted stitch directly below the bottom of the fold. 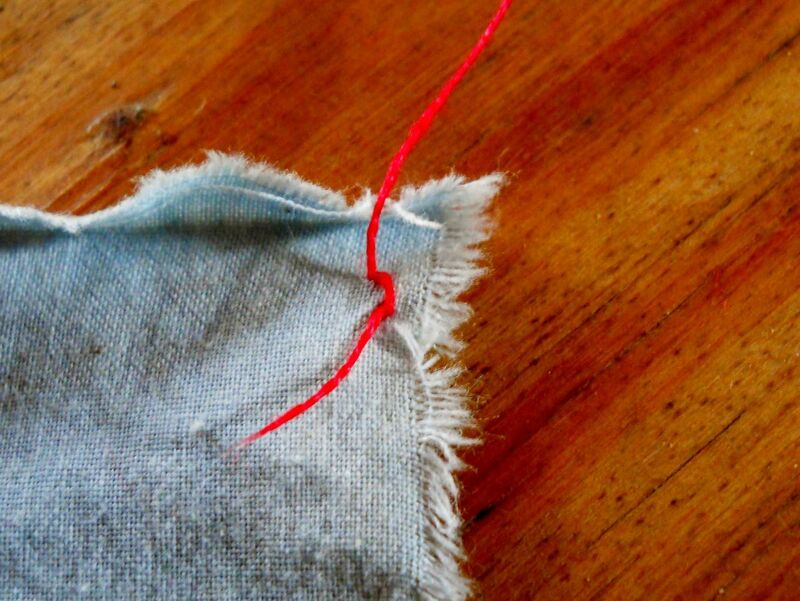 Then, heading diagonally, make a small stitch through the top of the fold. In the picture, I am hemming from right to left, so my second stitch is to the left of the lower, first stitch. My stitches are a little exaggerated to make them easier to see - you may want yours to be smaller. Next, repeat this process without pulling the thread tight. You want to have somewhere between three and five stitches before you pull the thread tight. 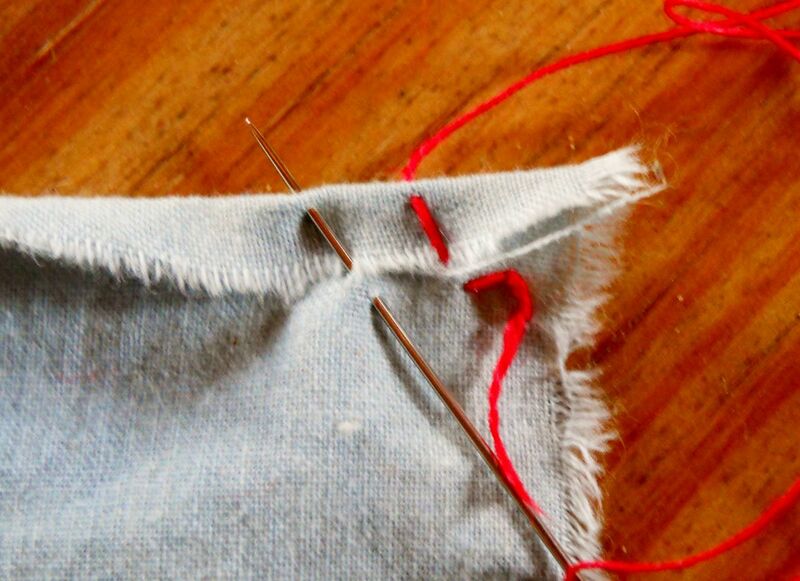 After you have several stitches (3-5) in place, tighten them down to create the rolled hem. 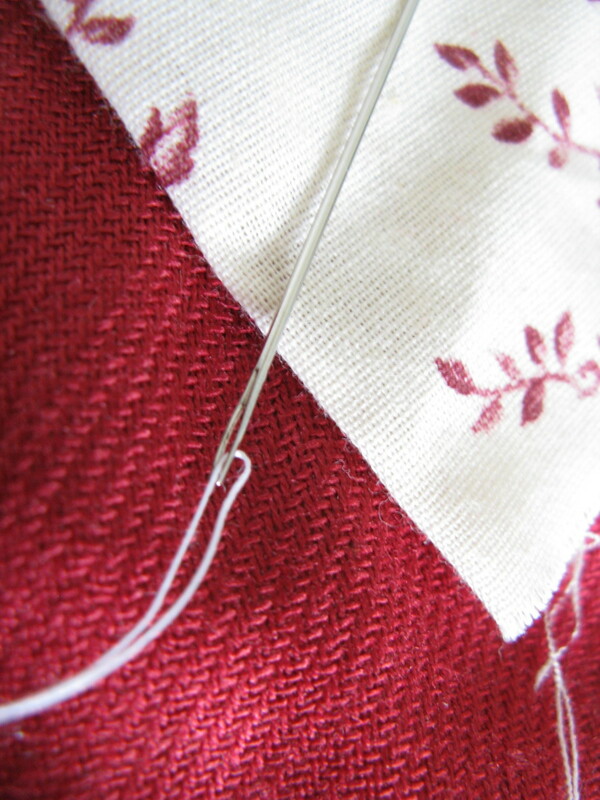 Make sure the stitches are tight and there are no gaps, but do not pull the thread so tight that the fabric pulls and puckers. 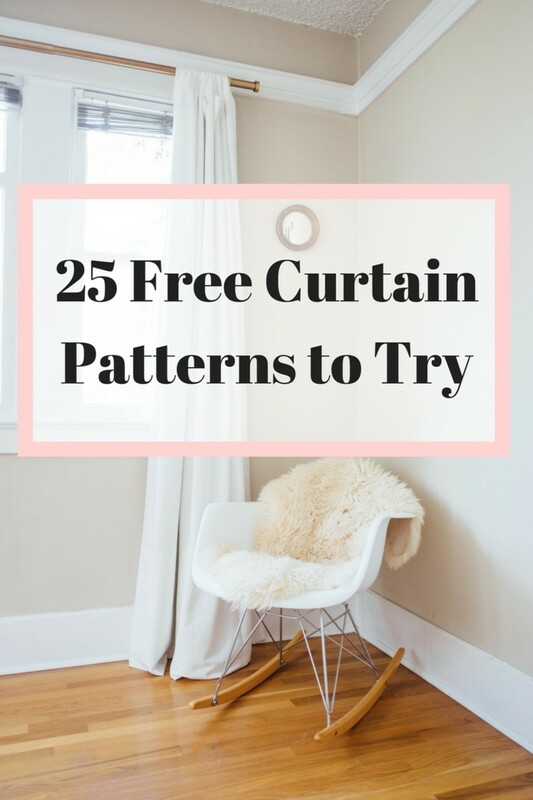 Simply repeat the process as many times as necessary to hem your entire project. 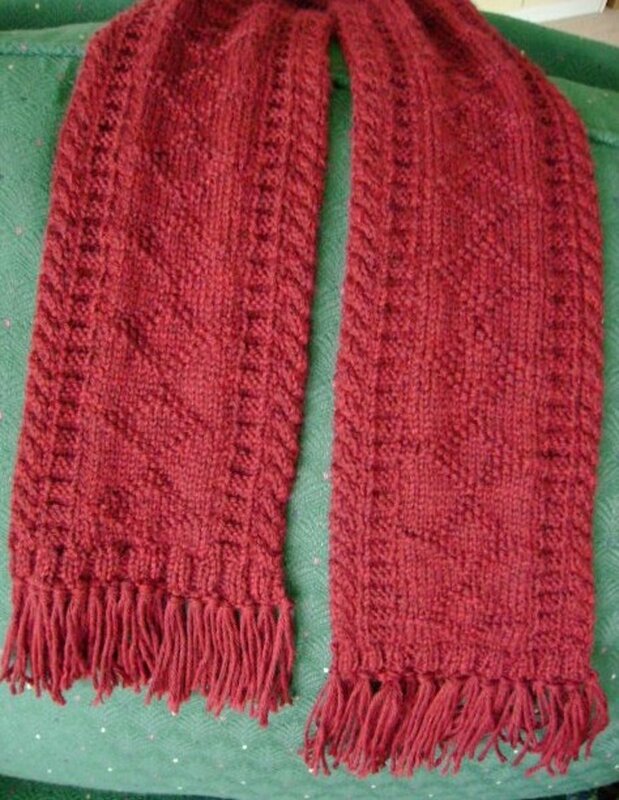 I like to bind off the thread at each corner and start a fresh piece for each new side, but it is really just personal preference. This is what the rolled hem looks like on both sides. Once again, I made the stitches a little larger and further apart than you might want to, but it is really up to you. I hope you enjoy using the rolled hem as much as I do. I usually dread hemming because it is usually the final step before finishing an item, but rolled hems are quick and easy. Thank you so much for this. this is the best non-video tutorial for a rolled hem that I've found. Thank you so much! 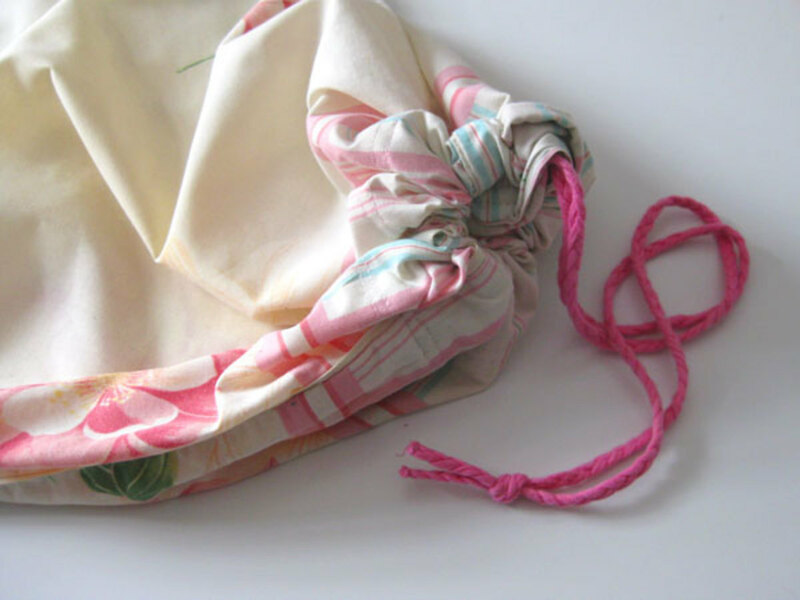 Sewing a pocket handkerchief and you saved me! Thanks for this, I've been wondering how to do this. I did!! I am always looking for tips on hand sewing! I can't wait to look through your other stuff. Thanks, Ilena! I'm glad you enjoyed it. A very useful hub. I have never heard of rolled hem. Thanks for teaching me. 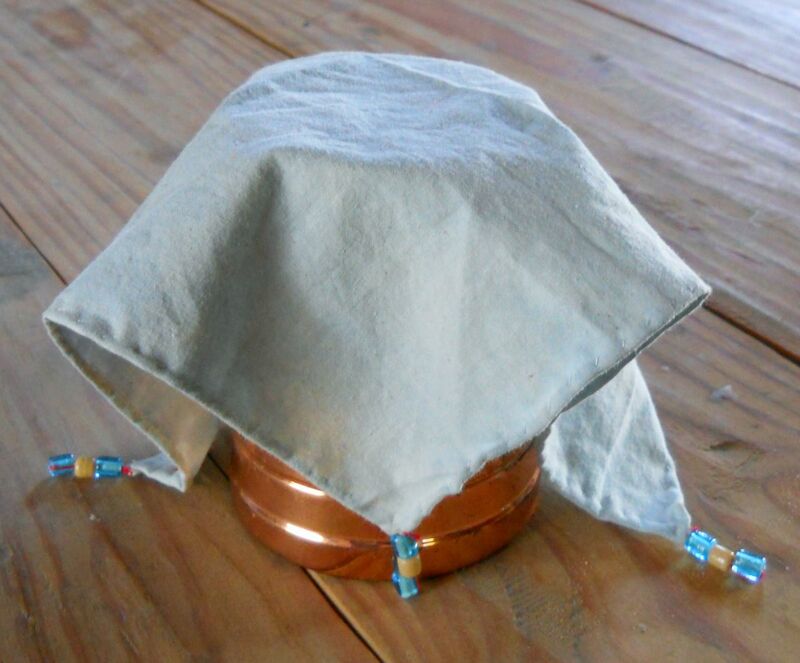 Heavy linen might make it a little tricky, but you could always try. This seam is easy to remove, if you need to. 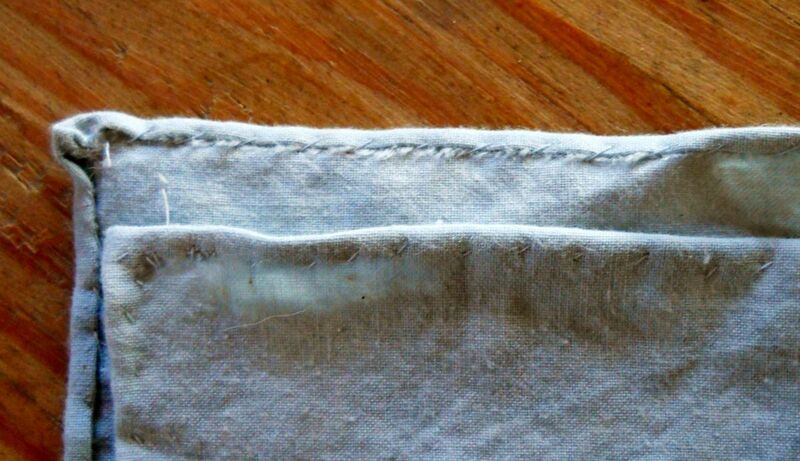 Linen does crease very well, so you could iron the rolled seam flat. I've had a real Ah-Hah moment after seeing your explanation and your photos. I'm so tickled to have this information. 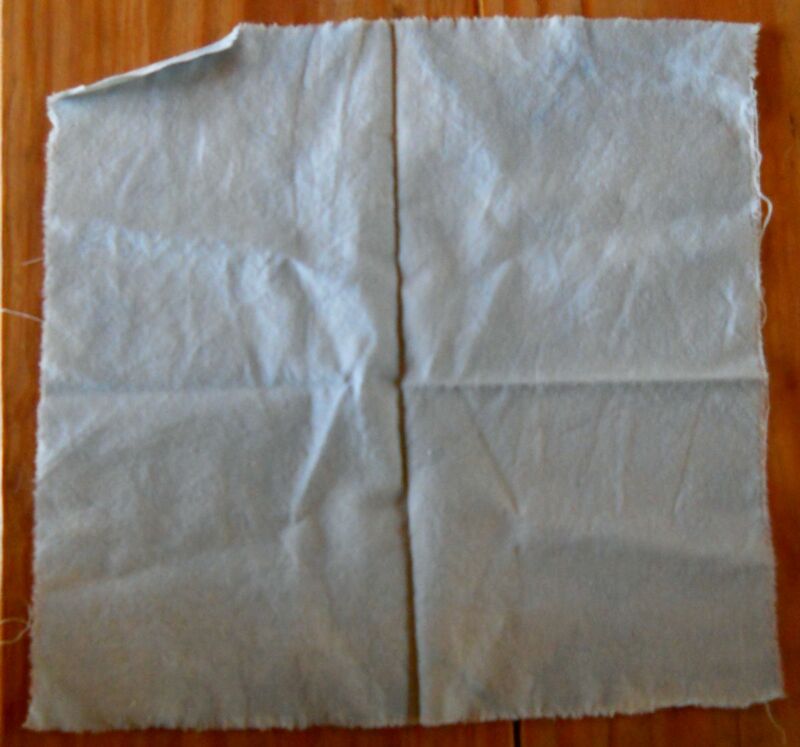 Question: is this the best technique to use on heavy linen napkins, the kind that were sold in one long length, and you cut them apart? I purchased a French linen tablecloth from early 1900s, which needs two sides hemmed, and 12 napkins all in one long length, each of which need two sides hemmed. I would love your opinion. Thank you! Thanks for stopping by! It really is the easiest way to hem lightweight fabrics. You've set out the steps so easily that this looks really easy to do, I'm sure it's a great help for anyone who loves sewing. Thanks for the great tips. Have fun sewing! Since you say 'dusted off,' I assume the machine is a couple years old. It should be nice and sturdy! I love older sewing machines. Love it!!!! I recently dusted off my Kenmore Ultra Mini. I am a somewhat beginner and have always wanted to make a skirt and blouses. I have created a vest and a skirt: Blind hems and hems of any kind was challenging. Thanks for the clear instructions and will take a look at the beginners sewing hub. Don't worry about the quality of your pictures - they are just fine. You can see the weave of the fabric so the focus is on the spot and you explained right at the beginning about the thread and the need for the size of the stitches. I was only referring to the position of the lower row of stitches and the resulting number of layers (at the edge of the folded fabric = 4 layers; distance down from the edge of the fabric equal to or more than the width of the folded edge = 3 layers). Even heavier fabrics work with this type of hem if only three layers are created. If you really feel you need to change anything, maybe just add photos that show the three-layer result. You get the same number of layers if you were to iron and machine sew the hem but the rolled hem, in my opinion, looks so much better and is much easier. 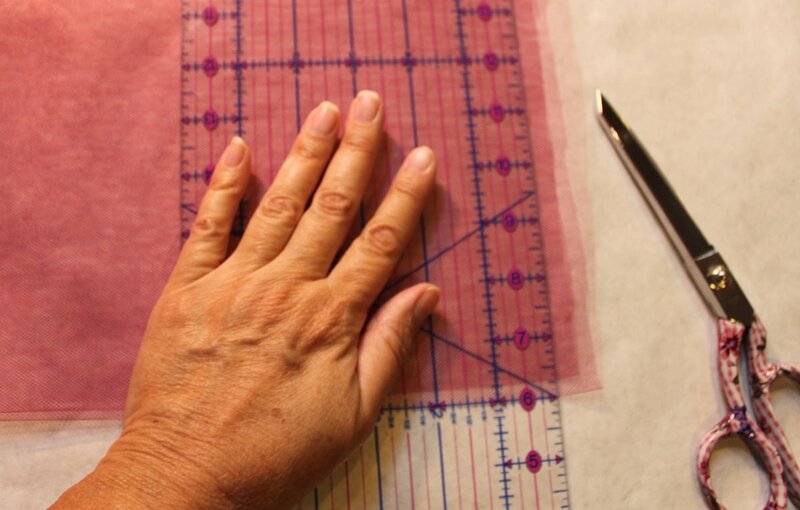 Finger creasing is easy, especially with linen, and I prefer not to singe my fingers! Looking back at it, I really need to re-do these pictures! They were taken under less than optimal conditions with a not so awesome camera. Though part of the pictures' shortcomings is that I made the stitches with super thick, red thread to make sure they were visible. Obviously a person wouldn't want to do this if actually making a rolled hem! One thing, though, about where the stitches are taken. If done as shown, you get four layers of material in your hem. Depending on the material, this can make for a rather stiff or thick edge and it is harder to do neat and tidy corners. Instead, fold over the edge to be halfway to the lower stitch. 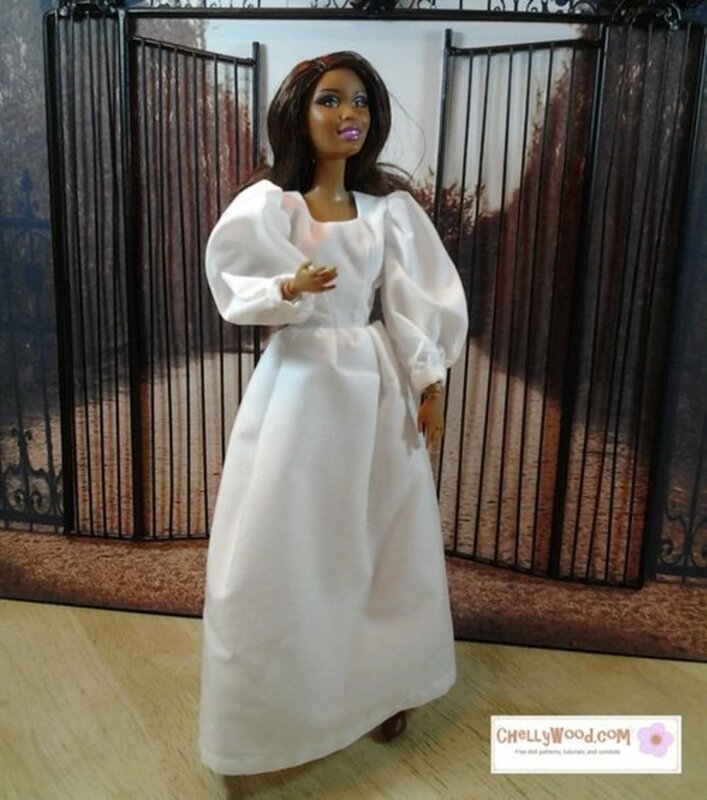 It takes a bit of practice to make an even hem but there will only be three layers of fabric. Also, you won't have any odd bits of thread peeking out. This really is the simplest way I've ever encountered to make a hem! I kind of hate hemming, but this is nice and easy. Thanks for stopping in! Thank you for this really interesting hub. 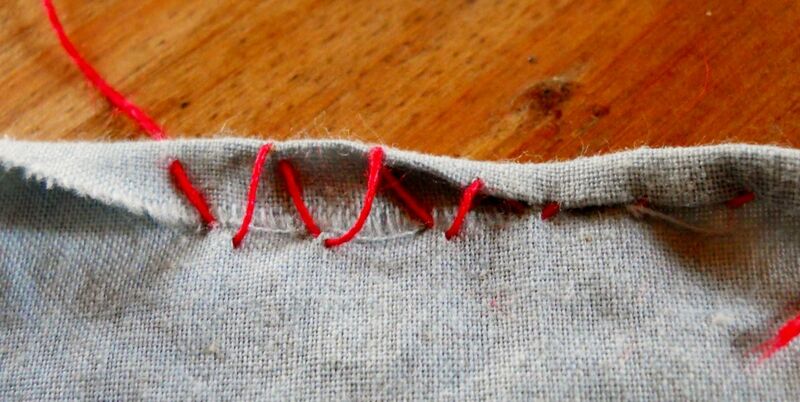 I do some sewing, but was never taught this. I really apppreciate learning the skills that our grandmothers knew and used regularly; we can make things so complicated nowadays. That's a good idea! Mitering corners for hems (and other things) is really important and oft-forgotten. Thanks for the hub idea - I'll add it to the list of things I want to write just as soon as I can find the time! Very nicely done. I do living history/1790's reenacting and hand-sew all my clothes. A rolled hem is period correct and soooo much easier than trying to iron a tiny hem. Could you also include info about mitering corners? Or make a separate hub? It always takes several tries for me to get them right. Excellent! I'm glad it worked and thanks for letting me know. Thank you so much for this! Worked perfectly for me!!! I love baking! I just haven't had the time to bake anything in forever. But, yes, I used to devote a whole day to baking and then freeze loaves at a time. You and I must be born under the same stars. Along with gardening, I love sewing and history. This was an interesting essay. I like sewing a rolled hem. I have a big project going making place mats and napkins to sell at the farmers' market where we sell bread that I bake along with the vegetables we grow. Are you a bread baker, too? Love the rolled hem. It's such a nice finish for all sorts of sewing projects. Your tutorial is extremely helpful! Voted UP, useful and interesting. Thanks! As always - Helpful pictures! This is a sewing method that I have never used. I guess I've been too lazy but your article and the guiding pictures have convinced me to stop being lazy and give it a try. Voted up! Teri - thanks! I get so frustrated with terrible drawings of stitches that I can find in books or on the web. I want to make it easier for others to learn stitches than it was for me. Amazing! When I sew, I sew by hand so this is a great help! Thank you! Wonderful pictures too! Sewing machine tension problems are the bane of my existence, so I totally understand! I used to do rolled hems on my serger, but they were never as nice as the ones I did by hand. Sometimes faster is needed (big tablecloths) but I like to do many things by hand. 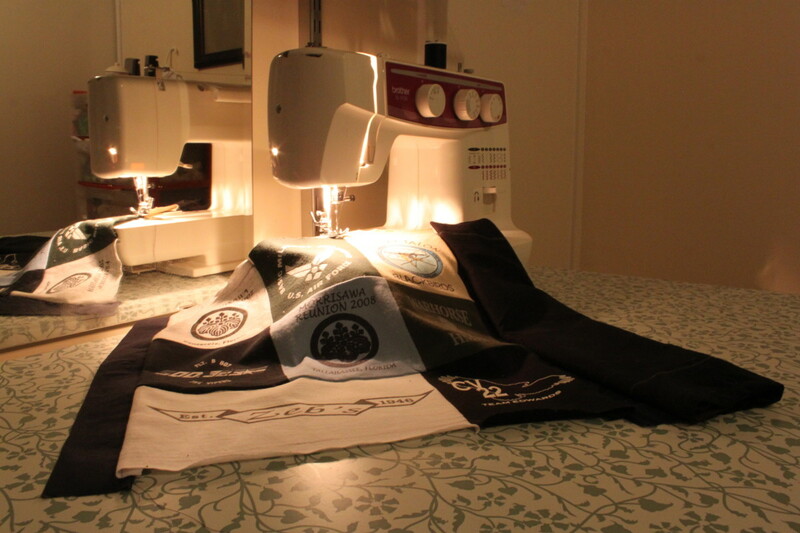 sometimes it is even quicker than getting a machine perfectly adjusted for a particular fabric. Our fingers make those adjustments automatically!